Collection of ‘Creative and Cool Refrigerator Designs' from all over the world. 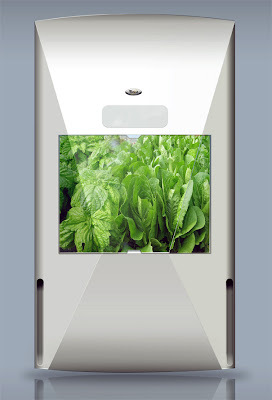 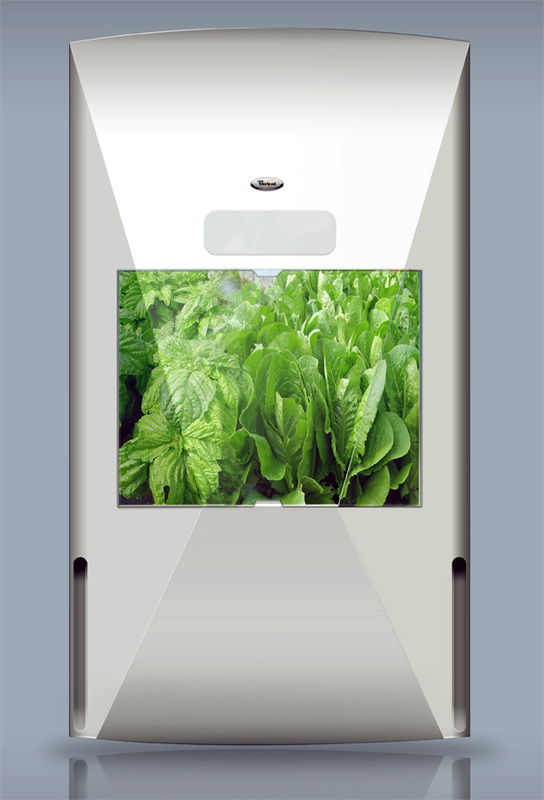 Kitchen Garden Refrigerator: You can place lettuce plants and herbs in this kitchen garden refrigerator and the system automatically waters and gives light and prolongs and continues to grow them. 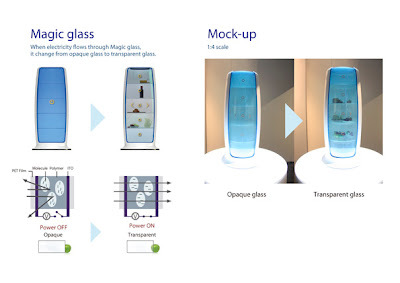 Glass Refrigerator: When the electricity flows through glass it changes from opaque to clear glass. 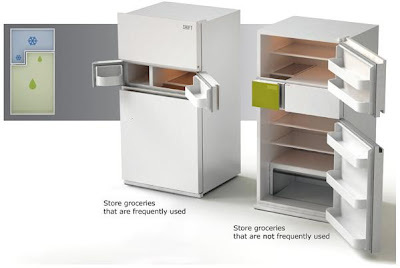 Shift Refrigerator: Another small refrigerator is added in between the refrigerator and freezer at a height that ensures easy access to frequently used groceries inside. 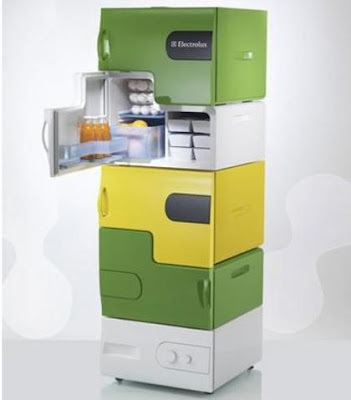 Stackable Refrigerator: It uses thermoelectric technology that allows it to work in any orientation, even upside-down. 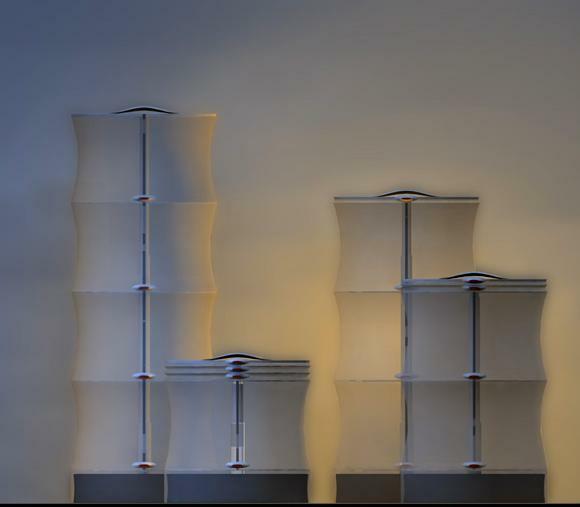 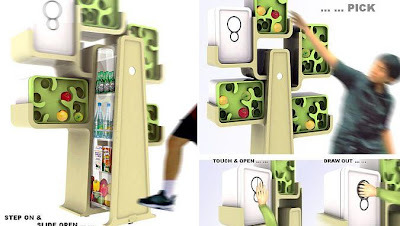 Modular Refrigerator: The fridge consists of a base station and then you can pile modules on it and the number is based on your own demand. 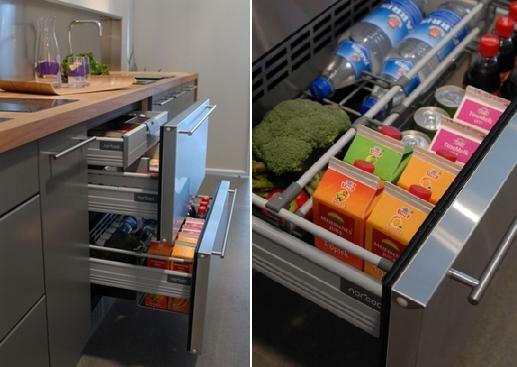 Norcool Fridge in a Draw: An extremely efficient fridge system wherein you can put your cold food away in draws. 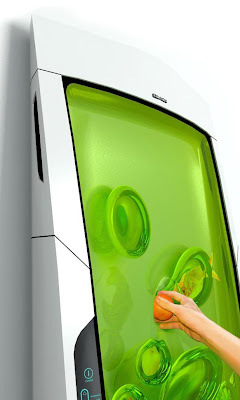 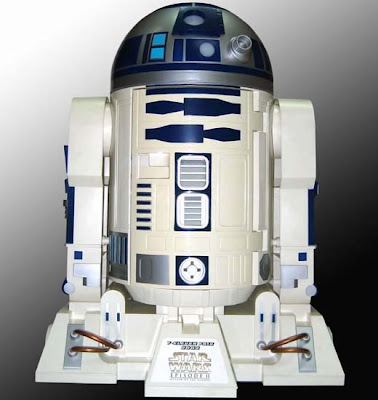 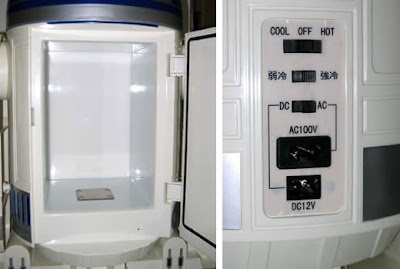 Bio Robot Refrigerator: The design features no doors or draws; instead a non-sticky gel surrounds the food item, and when pushed into the gel it creates a separate pod for them. Transparent Refrigerator: "This transparent refrigerator will show your food to everyone, so make sure that you keep it clean and nicely arranged at all times." 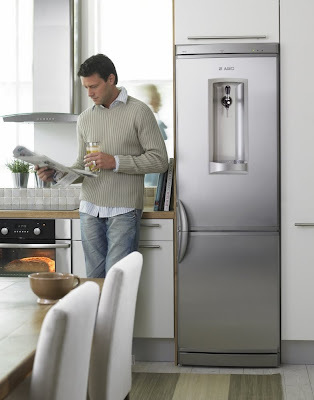 Asko's Dispenser Refrigerator: This one is designed keeping special people in mind and comes with designated space for two five-liter kegs. Tree House Refrigerator: "The fridge is designed with a tree branch shape storage system, combining several single fridges for distributed storage in different style. 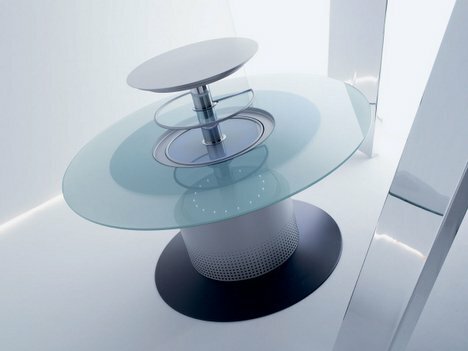 There is also a special device designed at the foot of the door, when people step on it, a wheel with small motor will slide the door open. " 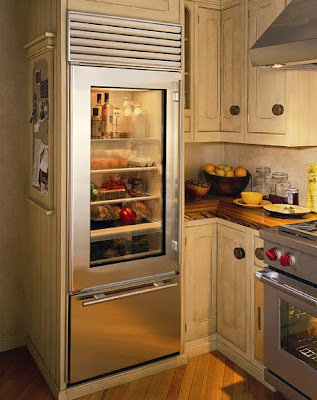 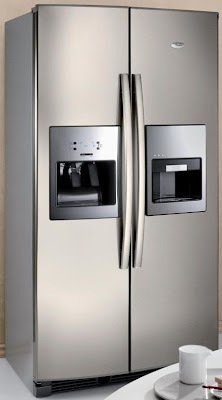 Glass Door Refrigerator: A cool refrigerator and freezer with glass door from Sub-Zero. 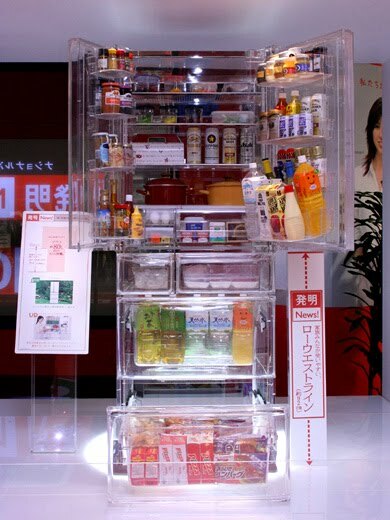 Soft Refrigerator: The size of the fridge can be optimized according to the amount of food inside. Touchscreen Refrigerator: Samsung Zipel e-diary refrigerator comes with WiFi and a touchscreen display that enables consumers to check the latest news and weather forecast and download their favorite electronic albums. 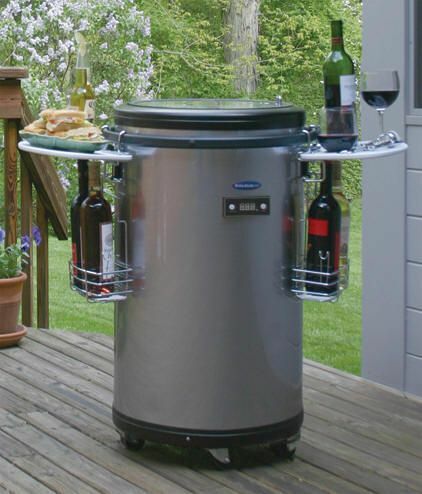 Outdoor Party Fridge: Perfect refrigerator for your backyard, patio entertaining and swimming pool parties. 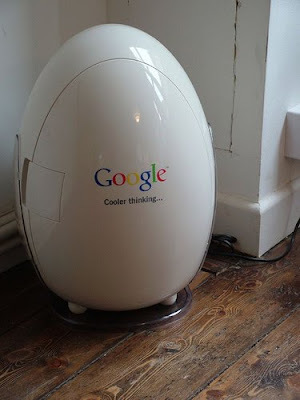 Mini Desk Refrigerator: This interesting shaped fridge promotes cooler thinking. 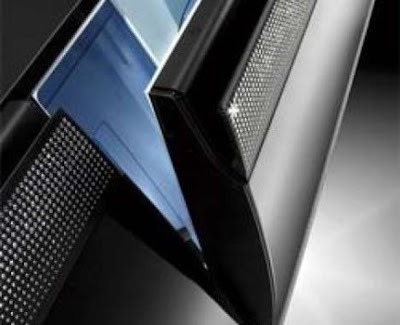 Diamond Refrigerator: "Eye-catcher from Gorenje is a black refrigerator that features 7000 hand embedded crystals from Swarovski." 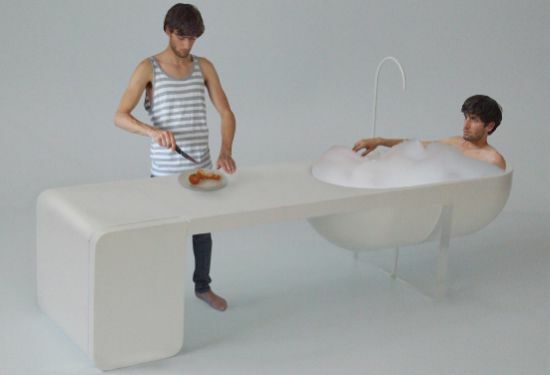 All in One Furniture: This unit concept combines a kitchen, a table, a fridge and a bathtub too. 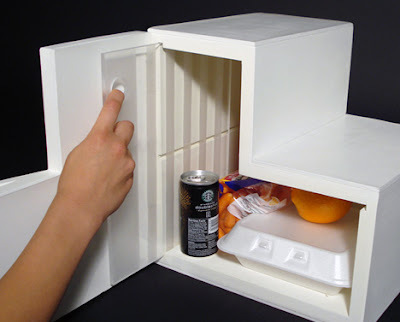 Espresso Refrigerator: A refrigerator with built-in espresso maker. Smart Table Refrigerator: A concealed refrigerator within a dining table and comes out at the push of a button.